Caption slip reads: "Monday. Photographer: Forbes. Date: 1955-02-17. Reporter: Thackery. Assignment: Watch Maker. Special Instructions: Monday. 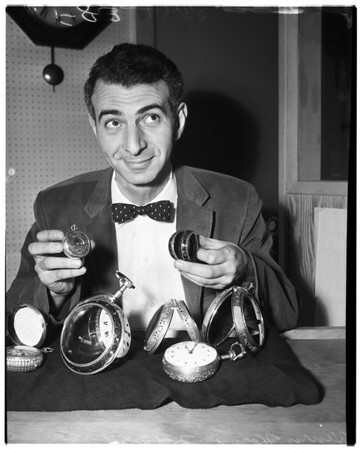 18-83-84: Henry Horne with old watches. Monday".